Gout sufferers often say “My gout is killing me!” Meaning that the pain of a gout flare is so severe that death seems the easier option. That might be an exaggeration. 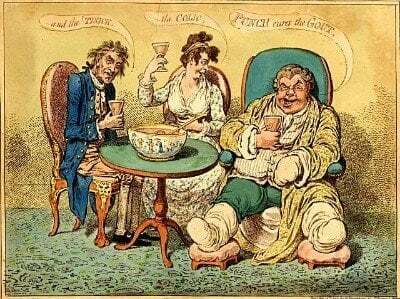 But, fatal risks of gout cannot be over-exaggerated. Because the answer to Can Gout Kill You? is “Yes”! In recent years, advances in imaging technology have allowed scientists to understand gout better. We can now see the uric acid crystals in our bodies long before we can feel them. Ultrasound and DECT show great promise for helping us assess the true damage caused by uric acid crystals. I’ve warned against allowing uric acid crystals to spread into the heart, kidneys, and other organs. We’ve known about uric acid kidney stones for a long time. But what of other organs? There have been several cases of tophi being found in and around the heart. Commentators at the time have remarked that the incidence of heart attacks caused by uric acid crystals is probably higher than is generally thought. Now, a new report confirms this. Then, it calls for a change in pathology routines so that death from gout is recorded more accurately. Prevalence of birefringent crystals in cardiac and prostatic tissues, an observational study. Park JJ, Roudier MP, Soman D, Mokadam NA, Simkin PA.
BMJ Open. 2014 Jul 16;4(7):e005308. doi: 10.1136/bmjopen-2014-005308. This is a study of uric acid crystals in body tissues outside the joints. It explains how uric acid spreads throughout all body fluids, except cerebrospinal fluid (CSF or brain/spine fluid) and sweat. It notes that tophi in various organs have been perceived as “medical oddities.” However, recent advances in imaging techniques have revealed that uric acid crystal deposits outside joints are far more common than was once thought. We are concerned that crystal-driven inflammation may cause plaque rupture and coronary thrombosis in some patients with gout, but confirmation of that hypothesis requires intracellular crystals at the site of a fatal lesion. To make that observation, the pathologist must fix the tissue in alcohol (since formalin may extract tissue urate deposits) and then must examine the sections under polarised light. Neither alcohol fixation nor polarised microscopy is a standard procedure, but we hope that pathologists will use them as they evaluate the all too frequent lethal myocardial infarctions in gouty individuals. There’s only one way to avoid fatal gout – control uric acid to safe levels. Keep uric acid below 5mg/dL, and avoid the risks of fatal gout. If you come to GoutPal.com to learn about gout and uric acid, you’ve learned today that gout is very dangerous. You’ve learned that gout patients need to take gout seriously. So you should get an effective plan to lower uric acid to safe levels as soon as possible. To get an effective plan, you must ask your doctor for help now. Agree on a safe target uric acid level, and get the right treatment to lower your uric acid before it does more damage. 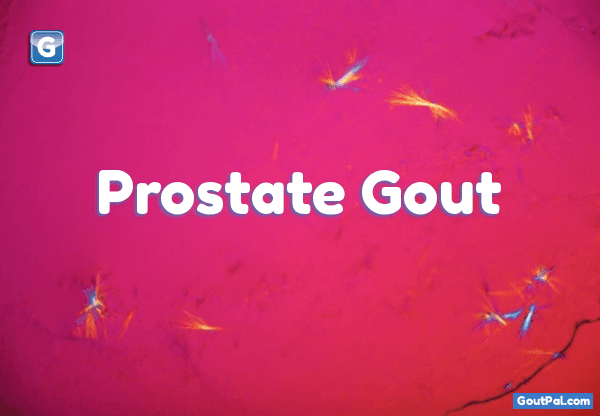 Do you know what questions to ask your doctor about your gout? Do you understand your doctor’s advice? If not, please ask in the gout forum now. If you want me to guide you through that plan, ask about a plan to avoid fatal gout now. You can also ask for personal help on any other aspect of managing your gout. If you need help to use the gout forum, please click the orange gout support button now, or raise a ticket in my gout helpdesk. For more information about organs affected by gout, please see the Tophi Guidelines. Do you have suggestions for improving Fatal Gout? Then, please add your idea to GoutPal’s Suggestion Box. Or, send the Feedback Form, below.